Over the past two months, Rachel and I have had four teams, driven over one hundred hours in the car, said a few happy hellos along with a few sad goodbyes, and experienced some of the sweetest times of ministry we’ve had to date. Towards the end of May, we had the privilege of hosting Beth’s (one of our spring interns) parents for two weeks. They were so excited to come and see all that Beth had been a part of during her time here in Lesotho. Mr. Tim and Mrs. Leah jumped right into ministry and found creative ways to serve alongside their daughter. Whether it was helping with construction projects, distributing jackets for the kids, or joining in discipleship in the villages, they served with awesome flexibility and great attitudes. We also spent far too much time playing Catan in the evenings! Rachel and I were sad to see them go. Ashton, Beth, and Beth’s parents did a phenomenal job of building lasting relationships with our friends and children here. We wish Ashton the best as she begins a new job and Beth good luck as she begins veterinary school! However, we didn’t have long to miss them before our next group arrived. In fact, just twenty-four hours after the intern’s plane took off for America, Shane and Tanner’s plane landed from Botswana. Shane had just finished leading a young adult trip to Botswana (that Tanner had been a part of) and wanted to join us in ministry and see Lesotho before heading back to the States. This was also the first time Rachel and I got to see Tanner since their family trip in January, and we are so happy that he will be spending the rest of the summer here with us, serving at the Care Centers! Before heading to Lesotho, however, we all hopped on a quick flight to Cape Town. We probably packed a whole month’s worth of excitement into just three days. We went to Cape Agulhas (the southern-most point in Africa, also where the Indian and Atlantic Oceans meet), hiked up Lions Head (which is now my absolute favorite hike in the world), and went to Boulders Beach (where we were able to play in the water with penguins). On top of all the touristy attractions, we also found some incredible hole-in-the-wall restaurants, coffee shops, and even a tattoo parlor to spend some time at. All in all, it was an incredibly quick but much needed break. We are so thankful that Shane wanted to go on a quick vacation with us before heading off to see Lesotho. So after we left Cape Town, we loaded everything up in the car and headed to Lesotho. One thing that gives Rachel and I so much encouragement is seeing Lesotho and the ministry taking place here through a visitor’s eyes. We see these sights and do this work so often that it’s easy to get into a rut and forget how blessed we are to be doing what we’re doing in one of the most beautiful countries in the world. 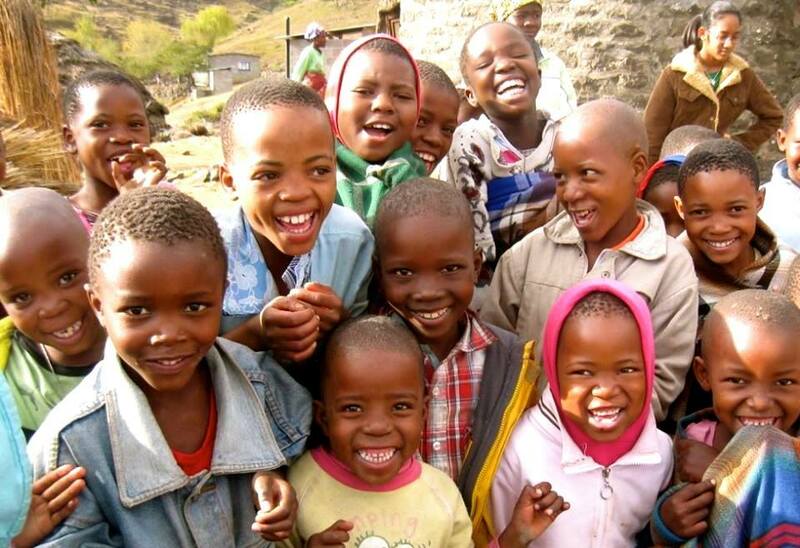 Needless to say, Shane had nothing but positive things to say about his time in Lesotho. We didn’t give him any time to rest and put him to straight to work. On Friday, we visited both Care Centers and delivered some food for the kids to enjoy over the weekend. We also “dusted” all the chickens for lice (it’s a dirty job, but someone’s got to do it). Then on Saturday, Shane and Tanner helped us host the last High School Ministry before winter break began. This has become one of the highlights of our week, and it’s been sad not having this awesome group of kiddos in our home during the school break. It was a wonderful day of worship, and I thoroughly enjoyed hearing a sermon taught in my native tongue for the first time in a few months. Finally, on Monday we had one last day at the Centers before driving Shane back to South Africa for his departure flight to the US. It was incredibly sad to have him leave, but just like when the spring interns left, we didn’t have a lot of time before the next group arrived! We’ve reached the half way point, so if you need to stretch your legs, refill your snacks and drinks, or use the lavatory, now is a great time to make that happen! Rachel, Tanner, and I were so happy when we saw three awesome, slightly exhausted kiddos bounce through the arrival gate followed by their two, slightly more exhausted parents. The Dupuis Family arrived late one evening and we quickly got some pizza in their bellies and sent them to bed. We stayed another two days in Johannesburg (mostly so the kids could adjust to the time change) where we spent some time at a craft market and took them to the Lion & Safari Park to see lions, giraffe, leopard, and several other African animals. After the very long drive we successfully arrived in Lesotho with the Dupuis family. Instead of splitting their three days of ministry between the two Care Centers, we decided it would be best for each family to “adopt” one Center for the duration of their time. This would give the kids and the Center the best chance of opening up and the kiddos from America an opportunity to pour into the same kids each day and build deeper relationships as a result. The Dupuis family was assigned to Khohlo-Ntso Care Center for their time in Lesotho. It was so incredible to see Evan, Adeline, and Malina jump in and serve selflessly. They didn’t hesitate to play, learn and teach games, and talk to the kiddos. At first, the children from the Care Center were a little standoffish, but as the days progressed, several kids had made great connections and were happy to play with our American friends. Over the course of their time at Khohlo-Ntso, Bryan taught a few great Bible lessons and Penny taught several songs (that the kids are still singing today). They also made crafts, played with kites (which was a huge hit), learned to play wall-ball on the side of the church, and even made knotted fleece blankets. On the last day at the Center, the whole family participated in the telling of The Two Kingdoms. Bryan and Penny led the story while Evan, Adeline, and Malina all took turns sharing a part of the story and helping with the oil/water visual. It was really neat to see everyone participate in sharing the Gospel! Overall, their time in Lesotho was a success. The Care Center kids had an absolute blast playing, singing, and learning with their new friends from America. It was very sad for their new friends to say goodbye, and I know the memories from this week will last a lifetime! The next morning we all climbed back into the car for another long journey. This time, however, there was an empty seat in the car because we left Tanner in Lesotho to help with Super Winter 2017. This weeklong camp, hosted by IMB missionaries Jim and Teresa Flora, was aimed at training two hundred Basotho youth and young adults to lead evangelism and discipleship lessons. Tanner was assigned to be a small group leader for several of our High School (and soon-to-be High School) kids. If you’re interested in learning more about his time at Super Winter, you can read about it by clicking here (scroll down to his post from July 2nd). While all the Super Winter excitement was taking place, we drove the Dupuis family out of the mountains of Lesotho all the way to Botswana. It was here that we met up with another amazing family, the Feliciano’s. Mo, Alisa, Isaac, and Selah had just spent a week serving in Botswana. We arrived at Molepolole Baptist Church and Rachel and I had the privilege of serving alongside these two families for a few days as they worked together to host a VBS for Molepolole’s Care Center kiddos. It was amazing to be able to reconnect with the Feliciano’s and serve alongside them. While Rachel helped with the VBS time, I was able to join in on a project that Mo and Brent Turner (IMB missionary) had started a day before we arrived. We put together a swing set for the Care Center! For the Care Center to be allowed to officially open, it needs to meet several governmental requirements, one of which being an outdoor play area. It was great to be able to exercise the building and construction portion of my brain and get a little power-tool therapy. By the end of our time at Molepolole, the swing set was finished and the kids were soaring high in the sky. Rachel and I will be so happy when this Center is officially reopened and able to care for kiddos in the surrounding area on a permanent basis. As a special treat, we spent the next day at a game lodge and safari. After a great lunch surrounded by dozens of elephant, we loaded onto the trucks and headed out for a game drive. It was awesome to see the kiddos reactions to the exotic animals! The next day, we loaded back into the car and said our goodbyes to the Dupuis family. They were going to stay in Botswana for a few more days and continue serving with the Turner’s while Rachel and I took the Feliciano family back to Lesotho with us. We made a pit stop at about the halfway point for a day to break up the drive (going all the way from BW to LS would be a brutally long drive for the kiddos). We went to the Lion & Safari Park with them and were able to see some more of Africa’s amazing wildlife. It’s also really cool to be able to get super close to lions and feed giraffe, a big hit with the kids! Upon arrival in Lesotho, we didn’t waste any time getting settled. The Feliciano family jumped in at Khokhoba Care Center (just down the street from our house). Their kids, Isaac and Selah, did an incredible job playing with the children at the Center and didn’t hesitate to begin building relationships with the kids. Whether they were playing a structured game like four corners or just playing with toys like the spelling mat or marble run, they were encouraging, patient, and loving toward our sweet kiddos. Over the course of their time at the Care Center, Alisa and Selah were able to distribute scarves (made by Selah’s class at school) and blankets (donated by the Comfort Crew Ministry at Cool Spring Baptist Church), Mo did a great job teaching several Bible lessons, and Isaac helped the kids master the marble run game and loved kicking the soccer ball around! For our last day at the Center, we were also able to share the Story of Jesus for Children (Jesus Film). Mo introduced the film and set the stage for what they were about the see. The kids were hooked, especially because the film was presented in Sesotho, their own language! After the film was over, I led a debrief time and Isaac shared his testimony. It was incredible to see how much the children picked up on and absorbed. We are praying that they will continue to ask questions and seek answers about all the things they learned! And the popcorn during the movie was also a big hit! Sadly, the next day we all headed back down the mountain to say our last set of goodbyes. It’s always bittersweet saying goodbye to friends and loved ones. However, Rachel and I are so incredibly thankful for everyone who has made the long, tiring, expensive, complicated, and at times draining journey to come into our home and join us in the ministry God has granted us stewardship over. It’s so uplifting to see the work being done here in Lesotho through the eyes of a “first-timer”, being able to share in their joy of new experiences! It truly helps keep us going! Also, it served as a great reminder to Rachel and I of how important it is to be intentional about missions with your family and children. It doesn’t have to be something as big as carting your crew halfway around the world, as long as you make serving others a part of your family’s DNA. Research a people group together to regularly pray over, find small ways to serve your neighbors or community locally, make memories with your tribe by serving another tribe, because those are the memories that’ll stick. As Rachel, Tanner, and I headed back up the mountain for a few uninterrupted weeks of ministry, we are thankful for the opportunity to serve with so many awesome people! Please keep us in your prayers as we spend some intentional time at each Care Center, and pray that Tanner will be able to plug in and have a blast serving at the Centers for the rest of the summer! This was a great blog!! I felt like I was right there with all involved! What a wonderful couple of months!! Thanks so much for sharing everything! Love you so much and am praying for you! Love the blog! Great to read and see what you have been up to.